Of poor background, Jiang Zhe, styled Suiyun, has finally, after ten years of hard work, passed the imperial examinations and become a scholar within Hanlin Academy. Unwittingly, he becomes involved in the succession dispute of the Great Yong Dynasty. He faces conspiracies and machinations and countless battles of strength and wits. Intending to avoid court politics, he ultimately has no choice but to become involved. With no alternative, Jiang Zhe can only follow the crowd, joining the chaotic political turmoil. In this conniving world, he uses his intelligence and knowledge to provide for himself and his companions a stable environment to survive. Don't get me wrong, I love this novel. However there are many points about this novel that are not so great. But it may be the reason why it is unique and great. Other reviews already said how great this novel is, I don't see why I should focus on the good points. When I first started reading it, it was very confusing. Info dumps here and there. Unlike your average CN novel where chapters are full of "fluff" where you could totally skip a few pharagraphs and chapter but still... more>> understand what is happening, this novel is the opposite. I need to carefully read it to not miss out any detail. Chapters are very long, but also informative. Also, It is written in the first POV, but the scene sometimes shift to a place where the MC isn't present. This sometimes confuses me plus all the chinese terminology. However, I totally understand why it is so. The prolouge is like the ending where he reminise the past. The style is a bit spoilerish, but its not anything bad. You'll know what I mean when you see it. The romance is... well idk? Bad. At least in the 58 chapters I have read, the romance is no good. But this isnt even a romance story so who cares. At least, this is still so much better than some other novels where MCs are picking up peerless beauties a smooth as jade as if they grow on trees. The only love I like seeing is loyalty between the MC and his servant/friend. No homo. Many many poems. Sadly, because of translating to a different language, it couldnt be help despite the translator trying his best, some meaning are lost in translation. However, it is still nonetheless amazing. This novel might be great. It might not. I'll never know. I couldn't make it through the first 10 chapters. It wasn't vapid, light fluff, which is good. But it was just boring to me. Info dump after info dump. For 10 chapters. It was lots of content, interesting poetry, and deep political complexity. But it wasn't interesting. It introduced too many concepts too early in too much of an infodump style fashion to make me feel any immersion, and completely took me out of the story. I couldn't absorb the... more>> info because I lacked any interest in it, and because of that I couldn't grasp the whole situation, and because of that, I lost even more interest. This is the first time I've ever bothered to leave a review, I'm not great with word as my thoughts are always scattered when typing / writing but here goes. This is by far the best eastern novel that I have read to date. The drama is very intensive and most of the actions are behind the scenes. Every chapter has me hooked and wanting more this novel is slow at the start and moderately picks up, the twists and turns and view points of all the characters is especially pleasing. Oh my. Within the 30 chapters that I read, all I could think of was how well-written and well-paced this novel is. Truly, this is a great novel worth reading for anyone who wants a thoughtful story where characters too have flaws that make them more real, more relatable. The first person POV is also quite interesting and well done! I absolutely enjoy the characters in this novel. Our MC is not OP in a typical sense, but he is gifted. If you've read Nirvana in Fire (also a wonderful novel... more>> and tv series) then you know what I mean in that the strategist himself is physically weak, but his mind is truly bright. He has doubts, he has strength and he sounds like a very real person going through some very real problems. Each of his actions has a purpose, likewise, each chapter in this story also has a purpose. All characters are given ample time for us to be familiar with them. Honestly, 30 chapter in and I'm quite attached to all the characters! The pace is great. The chapters are definitely on the longer side, which is refreshing in its own way. You feel like many things are going on quickly, but at the same time looking at the big picture, you are still far. It's very easy to become absorbed into the story. There is this sense of reality in this novel. Training up an army takes years, plans take time to do and in fact time skips happen often. You don't notice it as much, but I think its important. Can you imagine how unlikely it is for someone to find a perfectly able, perfectly loyal aide in less than 3 months? So it doesn't happen with our MC. I wholeheartedly Love this novel. I began reading it by mistake and ended up Like a moth drawn to the flame. Everything about this novel is great the scheming, the MC, the world building, side characters, wars and the other intriguing things in this novel. I was truly skeptical when I read the tags and couldn't comprehend how a normal mortal could be called "op". Boy how wrong I was! The fate of the world seems to be in his hands and no one can stop his... more>> will from becoming true. I love this! If you like strategy or politics of royal court and war, then this is a fantastic read! If you want action/cultivation/harem, this is not it. It does not follow the formula of MC reincarnates -> Everybody diss MC -> MC trains and OP -> repeat. There are no flat 2D characters here (the ones that, after reading 5 lines, you can clearly tell is a generic antagonist/follower/harem member etc). Everyone has their good points and bad points, goals they work towards and times that they are clear headed... more>> as well as hot headed. A masterpiece and classic in the making. It's Lo kuan-chung meets Jin yong. Characters are very well thought off, the philosophy of human natures are well displayed in non-linear ways. Historical references and poetries approaches are strangely refreshing. Great works for the author and the translators. We can't thank you enough for such a brilliant works. Masterful. First off, it's not everyone's cup of tea: it is not hot-blooded action. Rather, the style and dry elegance reminds me of Ze Tian Ji, minus the fantastical aspects. Of all the Chinese novels that I have read here, this particular title bears the most resemblance to the historical epic Romance of The Three Kingdoms. More focused in scope as it is told from the first person point of view, but no less sweeping in its grand story-telling. The MC starts as a poor but very capable scholar, and for... more>> some reason or another finds himself climbing the treacherous political steps of a decaying kingdom. He wants nothing more than to read books and live a sedentary life in the countryside, yet his flashes of brilliance in poetry as well as in military strategy attracts and frightens the powerful and famous personages around him. Every chapter has a short blurb that dryly commentates on the biography of the MC, written in the style of an actual, ancient Chinese document, lending an authentic feel to this pseudo-historical novel. For those familiar with reading the stories from the Warring States and the Three Kingdoms, these small nuggets of information and short description of events are very similar. The story then proceeds with how the events actually took place, sometimes with slightly different details than what the history would remember or exaggerate. All in all, the prose is excellent. The story itself moves along in a narrative style: notable events chained together by circumstances and all tied together by the presence of the MC who had witnessed them. It really does read like an detailed personal journal or memoir, and superbly told. Pick a famous individual from Wiki, now attempt to write his or her life story from that person's point of view. That's the selling point of this title. Fictional characters and world building mix comfortably with references to actual history and famous personages, and the translator should be commended for the utmost care and dedication shown in translating them and the difficult phrases that peppered the text. Footnote and explanations abound, and the sheer number of them might deter a casual reader. But rest assured, such information are extra gifts and not necessarily important to the plot. Just think of those references as "the story is referring to someone famous who did something similar sometime ago". Great stuffs, the author really knows how to write a smart thoughtful strategist character. Many should recognize Great Yong politics is a retelling of early Tang Dynasty political intrigue, but author really made a story his own. Its a novel that literature lover like me should read. The author made a great contribution to our society by writing this and shout out for our brave, courageous translator for a praiseworthy achievement to pick this novel up. Tho I personally like this very much and maybe bias but this story is still worth your time to read. Its a mixture of ZTJ mc's charachter and crazy experimental lich's writing creativity. I wouldnt ask for more. ps. Every word of this novel is a gem for me. Wow! Really, I am stunned. Just wow. In order to explain my rating, I must also briefly explain the setting of "The Grandmaster Strategist". This novel takes place in China sometime after the Warring States Period. I am unsure if the novel is a fictional take on historical events and/or characters, or if it is entirely the product of the author's creativity, but it is one of the most immersive settings I have experienced since Tolkien's Middle Earth. The cast of "The Grandmaster Strategist" isn't excessively large, but it is populated with enough characters to feel alive in its own right. Furthermore, each character featured is fleshed out, given a back story and Zukunftspläne, motives and desires, faults and merits. Each member has been featured recuringly, and I expect that the author has plans for those who we haven't seen in some time. The main character's thoughts are expertly portrayed and lifelike, albeit he is a genius. There are no "good" or "bad" guys, although we are given antagonists to oppose the main character, and anyone with a sense of empathy will want to destroy them. Most of the "rivals", however, can be identified with and appreciated, a clear sign of brilliant writing and character design. Each character is unique and interesting. This novel has a distinctive style; it reads almost as a biography, and yet utterly immersive and engaging. I found this to be refreshing and a great joy to read. A major negative of this is that many events are resolved before you even read about them. I learned to appreciate the journey more than the result, but this will not suite everyone. All I can say on this is that the manner in which events are spoiled, while anything but subtle, has a certain flavor and is deserving of the reader's best effort to appreciate it. Many people might not like that many events are almost "glossed over" in a summary-like manner, but it is because this novel knows where it is going, what it wants, and is very, very focused. Everything the reader is shown is relevant and vital to the world building, character development, or plot advancement. And it is done so in a very tasteful way. No paragraphs of pointless, stale dialog as cookie cutter villains kidnap a harem member here! NOT ONE! This is also a reflection of this story's most basic genre, which I have yet to discover. Is it Romance? Tragedy? Grand Strategy? It seems to be the simple story of one man's struggle to find a happy ending in a turbulent world. And that is all it needs to be. And now a quick note on plot armor: although the main character reasons his way through each action, other characters are too excepting of his far fetched excuses. Additionally, even though things don't always work out as he expects them to - and in his favor - they usually do. In fact, there are a few convenient incedents in which you learn he has medical training, and that he had also prepared strange medicine at some point. Really? Now that my rational for rating the novel so highly, and the pros/cons detailed, I will explain the translator's amazing effort. The translation is amazing. No way around it. I have noticed all of... Two grammatical errors? I don't even think I have seen a spelling mistake? They must be there, but they clearly haven't prevented me from enjoying this work. Excellent. Then, the most difficult part of translations: what was lost? Pretty much nothing. 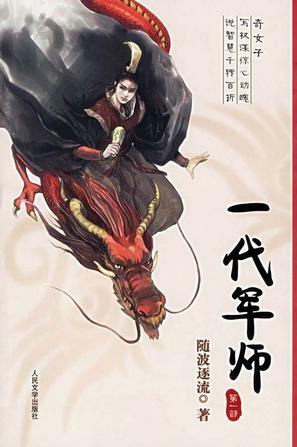 The translator has taken great pains to explain the many references to old Chinese poems and paintings, as well as to recreate what I expect is the author's original style. I haven't read the raws so it could be different though. So if you can get past knowing what is going to happen, and if blurring over the sometimes minor sometimes major events in order to prioritize the story doesn't drive you nuts, I think you will enjoy this immensely! This series is truly a masterpiece. The story is fantastic and the characters are all so interesting, every piece you learn about the world immerses you further into the novel. After the first novel I thought the story couldn't get any better and I always think the same every volume, but it simply gets better and better! A sad yet glorious tale, plus really funny and intriguing. It definitely hearkens back to old school Chinese writing styles in terms of story format, but it in itself a tale, and tale that will flutter your heart. MC? Funny and Cool, and you feel for him. He's weak, but smart and crafty, also loyal. Bad guys? Fleshed out and feel alive, with some minor ones who you just go lawl. I generally don't like stories with sad major arcs mainly because I read for enjoyment, fun, and to dream! But this is... more>> one of the few exceptions, cause the writing and characters manage to surpass my hate for sad things. This will be quite in-depth without spoilers. So don't bother if your looking for a quick review if this is worth your time or not. You know what, if your looking for a short read that will alleviate your boredom don't bother with this, this needs commitment as well as some understanding of context as well as language. This should be my 2nd ever written review whilst being on this Page for over a Year. It is one of those novels. the story is about war and how it affects individuals, how the react to certain problems and their ways of solution. The protagonist isn't the "main" character of this story. He is a follower and on his search for a worthy leader. Furnished with wits and a incredible loyal retainer, he is the embodiment of change even though he desperately tries to avoid too heavy of a burden. At least till now. In the 30 chapters the novel has released, the main character has had a lot of change, not such superficial that he suddenly grew coldhearted through unfortunate events, but rather subliminal changes that seem to make this persona realistic to the reader. Which is very seldom found in most light novels. The Author isn't afraid to integrate his personal philosophy as well as dreams into this story, unafraid to be unique, unafraid to build up character arcs to only destroy those said characters without a shred of sympathy. This novel is well thought out and the ending is most likely already clear to the author. He ties up loose ends with arcs to start anew. Well I call them arc but what they are, are possibilities for the protagonist to progress or deteriorate. This story has no convenient plot devices as well as lucky encounters. Every encounter is calculated or an example of the mistakes of the Protagonist. All in all it is surprisingly realistic. This... Such amazing and intriguing plot with well made side characters which possess interesting personality. each one of them is very Interesting and not half-assed characters, especially the main character. Feared and respected by both rulers and their subject, He is too talented and smart, his strategy is vicuous and scary. many city and contry falls with a simple sentences. With a single song, a king of a certain country commit suicide. Geass can't even compare to him. Speechless. I have been on this site reading novels for nearly 3 years now and I have never felt compelled to register and review a novel until now, despite having read many addictive novels. There should be so many more works like this - but what makes it stand out is its complete uniqueness. There are no convenient plot devices, no over-powered cheats, or any unrealistic behavior favoring the protagonist. There is only a beautifully crafted world filled with richly fleshed out characters that behave completely in line with their nature.